Race days would not be possible without the incredible work of our volunteers! Spend part of your weekend supporting inspirational student-athletes. 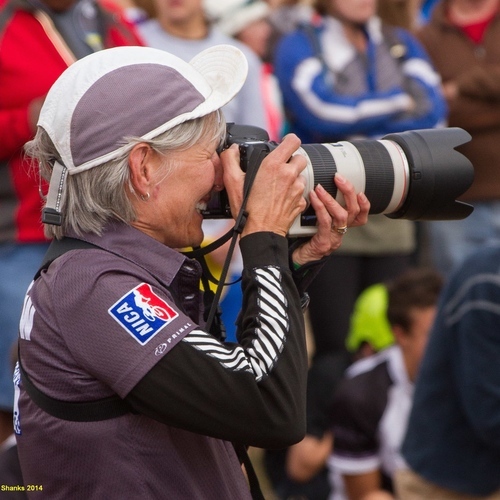 It takes a “village” to put on quality youth mountain bike races. 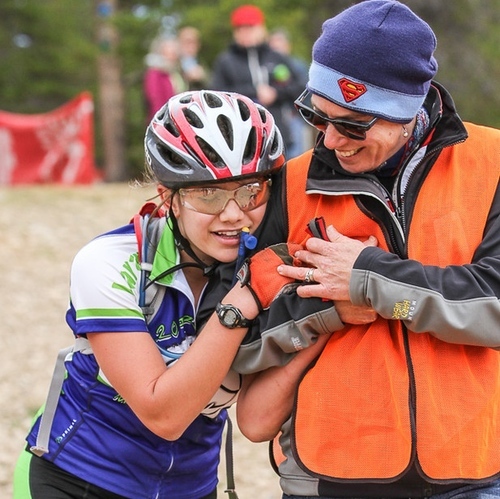 Many parents and cycling enthusiasts find helping with race production to be a fun and rewarding experience. Thank you in advance for your valuable assistance. There are venue and course set-up opportunities Friday before the races, as well as many volunteer opportunities on Saturdays and Sundays when all the action occurs. Review the list of the various positions below. Click on the Volunteer link to sign – up. 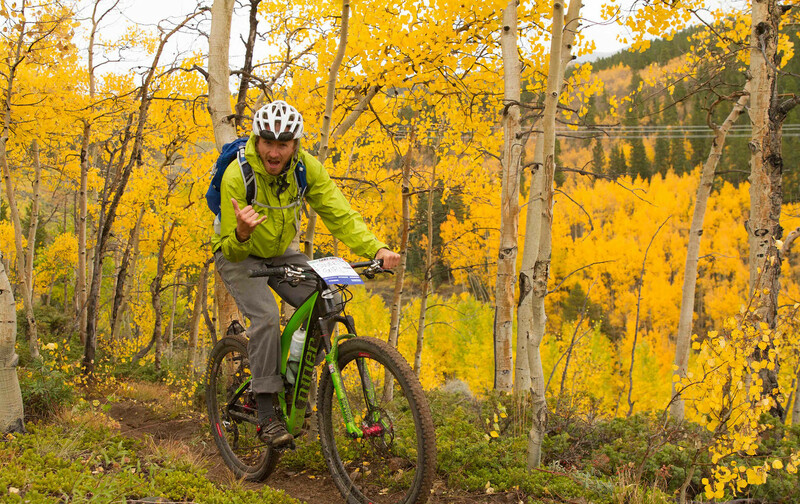 For general volunteer questions, email volunteer@coloradomtb.org. Thank you! Finally, we ask that each team rally several parents and supporters to volunteer at an assigned race. Please note: Exact shift times are approximate and may differ slightly from race to race. All volunteers will receive time confirmations by email. Volunteers will be working with League staff to set-up the pit zone, feed zone, start/finish area, and parking as well as grooming the course. Bring your bike and helmet! You’ll be marking the course with signage and ribbon to ensure riders safety and that they stay on course. The more the better! WHEN YOU REPORT FOR YOUR SHIFT, PLEASE BE GEARED UP, DRESSED AND READY GO! Course marshals are positioned at key points on the course to ensure all riders are safe and going the correct direction. Radios are provided to communicate any issues or injuries. Hike or bike (helmet please!) to your position. So that we assign you appropriately on the course, please let us know if you’re able to ride your bike to your position or if you will be on foot. Lots of action and great stories occur here. Volunteers keep water coolers full and stock nutrition supplies, including snacks without nuts for those with allergies. This area can get hectic and those who are not feeding passing riders are asked to move away from the Feed Zone. It’s important to reinforce that riders need to move to the right when receiving feed and are not allowed to be touched or receive mechanical assistance without consequences. The finish line is always the most rip-roaring place on the race course. Coaches, parents, and teammates are gathered around to see their riders finish. Riders come through the finish line exhausted, fatigued, and in need of someone to assist them off the course. 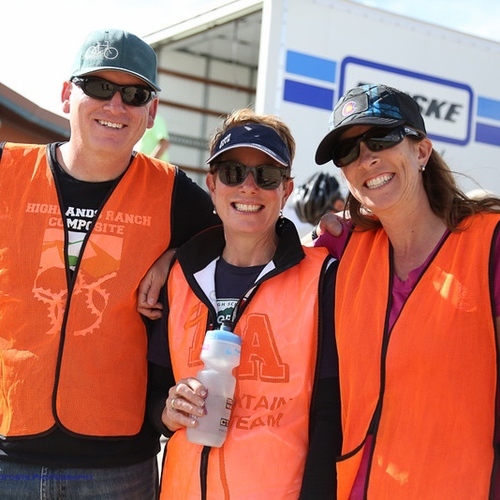 We need headstrong, yet caring volunteers to manage the finish line to avoid any bottlenecks on course. This volunteer position is a great way to get into the action at the race. Help announcers by calling in number plates on the radio or matching the number plates to names. Help direct traffic and welcome participants. Communicate 1 car per team in the Pit Zone before 8:00 am. Remind folks that helmets are required when riding. Get in the action with this exciting job. This job entails recording plate numbers as they cross the finish line each lap. A quick scoring training session led by our Chief of Scoring will begin at 12:30pm sharp at the Scoring tent. Each race needs course sweeps, for each category, who are willing to follow after the very last rider of that category. We want to ensure that every rider gets to the finish line in the safest way possible. This position requires bike riding and the willingness to attend to any issues that may arise on the course. Please include a few category choices for your sweeping position that you feel comfortable sweeping. You will need a race number plate for your bike. Report to the volunteer tent at your shift start time, geared up and READY to ride. Help pass out race plates to excited coaches and racers. Attention to detail, friendly, and organized are important for this position. Roving course marshals ride the course to ensure everyone is safe and going the correct direction. Radios are provided to communicate any problems. Report to the volunteer tent at your shift start time, geared up and ready to ride! Volunteers help manage the staging and organization of all riders arriving at the start line before the wave starts. This can be a tense area with excited racers queuing for their start and at times helpful coaches and supporters crowding the area. Calm, but assertive volunteers are needed to help keep the staging process orderly so that the races start safely and on time. As soon as the last rider is off the course for the day, CO League staff will start take down and clean up of the venue. Bring your bike and helmet! After racing is over for the day, ride your bike and assist in removing all the course marking materials such as course tape, signage, and stakes. A pack to transport the course marking materials will be provided. This is a great way to end the weekend and ride the course. Assist with getting volunteers checked in and oriented to their task. This area is hopping with willing folks who need guidance. Do you have a knack for retail? The League has the following items for sale: T-shirts, Hats, Socks. This tent is the hub of information. Help explain course maps, staging and start times, lap count, Pit Zone layout, venue questions, race rules, and other information.